Peganum Harmala Seed, Usage, DMT Effect and Diet Diet. In this article, we would like to inform about the results of our study on the effect of overstroke and DMT for about 3 months. In the first stage, we carried out the work we did together with the cane cane and the seeds and then continued with the use of only the seeds. In order to evaluate the effects with different dimensions, we conducted the study together with 5 friends. Among the people that many of them never heard of, Nazar Weed (also known as Nazar Weed) (Peganum Harmala) was really surprised by both its active ingredients, its DMT connection and its effects. It is a known fact that almost everything we eat and drink affects spiritual work. If every substance that enters our body affects the contact between the soul and the body, this effect can be used positively in the Seed, Epiphysis and Dmt triangle. As we mentioned in different subjects, today’s life makes it very difficult for human beings to reach the spiritual levels through the transgression of the substance level. We wanted to investigate what can be added to the paranormal studies by testing the effects of weeds and heel seeds on the plants which could be an accelerating factor in crossing the wall between everyday life and the material. Each of the friends who participated in the study, friends who live in certain levels of trans state meditation, breathing exercises and similar studies. They have natural DMT experiences in spiritual studies. In this study, we did not have the aim of transmitting and transmitting spiritual flight experiences by using Ayahuasca or high doses of certain mixtures. We do not want an expectation in this direction. When almost all people who have deep transaustions are doing research about DMT, they will see that they have experienced similar experiences of Ayahuasca experiences. No additional work is needed for this. If you do not have a detailed information about DMT, you can read our article “What is DMT? DMT Effect and Spiritual Dimension“. In the last section of the article you will find information about our acquisitions and the use of seeds tested and how much they should be used. The effects will be different in every person. We never know what metabolism will be affected. Especially those who are allergic and sensitive should definitely not try. What we write about the use of peganum harmala seeds is never a recommendation, treatment or prescription. The drugs you use, herbal products, the foods you take and the use of alcohol can produce side effects in such plants. Our goal is only to share what we have achieved about the spiritual dimension. The main risk is that the body is susceptible to a large number of chemical reactions after the mao inhibitors used to activate the high rate of DMT. If appropriate doses and compositions are not used, the result can be life-threatening. 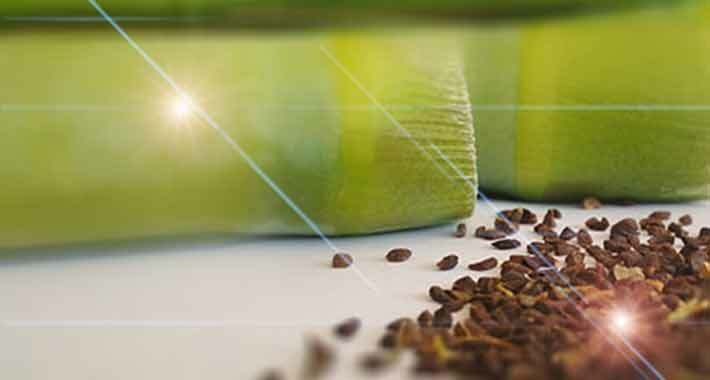 Due to the results of the herbaceous seeds, the active ingredients in the content and the interaction, the use of peganum harmala seeds is not recommended except for expert advice and control. 3 gr. Oral ingestion and overgrowth were observed to cause dizziness, nausea, vomiting and changes in the central nervous system. It has been reported that the use of overgrowth seeds for a long time or in high doses leads to intoxications, organ function and central nervous system damage. “Peganum Harmala Seed” Can be used continuously on seed? Can the seed be used continuously? How long should it be used? The use of the weed seeds also requires attention, as in all other medicinal plants. Particular attention should be paid to plants that affect the nervous system, such as seeds. The results of active substances are not clear for long-term use. As in all plants, the seeds of the seed can be used as a break. Like two weeks of not using it for two weeks, using it for 20 days and not using it for two weeks. The results will vary according to the foods and metabolism consumed. It is ideal to consume under the supervision of a doctor or an expert. Please inform your doctor before using the plants in the risk group. You will begin to read more articles about the use of peganum harmala seeds on the internet. One point we pay attention to in this regard is that there is not much information about the side effects and the damages caused by the substances in its contents. In this respect, I would recommend you to read the following section in the book “Psychedelic Shamanism“, which Jim DeKorne personally shared his experiences. “It is important to emphasize that the MAO inhibitory agent is an extremely important principle of human metabolism, which should be well understood by anyone who intends to try Ayahuasca or similar substances. The reason is: Monoamine oxidation (MAO) is a function of a chemical version of our white blood cells. It is an enzyme produced in the human body, so its function is to break down and harmless the potentially unstable amines found in our foods.Ozoamine oxidation can be considered as the active substance in a kind of ‘chemical immune system’ that helps regulate metabolism and maintain a healthy chemical balance in our bodies. A monoamine oxidation inhibiting agent (MAOI) is any substance that inhibits the protective function of monoamine oxidation. (If we expand our metaphor, it can be imagined that it works like a temporary ‘chemical AIDS virus’ that immobilizes the chemical immune system.) Many items are identified as MAOI, but all of these fall into one of two categories: reversible MAOIs and irreversible MAOI ‘s. An irreversible monoamine antioxidation agent is any chemical that really destroys monoamine oxidation in the body. Although it is called ‘non-reversible’, this effect is not ‘eternal’, but it takes about two weeks for the metabolism to synthesize the new MAO. A reversible MAOI, as its name implies, is a potentially useful agent when combined with a shorter-acting and cleverly combined with any tryptamine delusions. The harmala alkaloids (harmine and harmaline) found in Banisteriopsis caapi are reversible MAOIs with a life of about six hours, which is the average duration of an Ayahuasca tribune in the body. What happens is that half of the ayahuasca drink prevents the monoamine oxidation action in the body, so that the DMT half of this potion connects the neurons of the brain. Think like this, allowing the harmala player to score a goal by blocking the others and managing the game by the DMT. Unfortunately, this blocking effect is not selective; it allows many other items to count. When MAO defenses are prevented, the body is susceptible to many potentially dangerous chemical reactions. The main problem with using obviously any monoamine oxidation agent is that if this substance is not used wisely, that is, shamanistically, this can easily result in death. Therefore, when an MAO-preventive substance is ingested, it is imperative to restrict nutrition, which is a strict discipline of all South American shamans who use Ayahuasca. Asına Severe intoxication with MAOs can be very dangerous. Symptoms of intoxication often do not occur for up to 11 hours after ingestion un The most important feature of overdose is uncontrolled high blood pressure. can speed up. A severe, non-typical headache is usually the first sign, and it may be a precursor to an approaching crisis that could eventually result in death in the brain vessels. Symptoms of high blood pressure are usually headache, palpitations, burning, nausea and vomiting, light phobia, and sometimes high fever and pulmonary edema. This chemical is a by-product of fermentation. Therefore, any food containing bes aged protein lanmış should be avoided. All nutrients containing protein and some other foods. Before you start using Peganum harmala, make sure to diet for a specified period of time. Investigate the availability of all the medicines you will use, together with the seeds of the seeds, and without the advice of a doctor unless you use the seeds of herbal medicine / herbal cure and so on. purchase / use. Get advice from a dietitian on this issue and exchange information with your doctor. – Who Shouldn’t Use Seed? – What Plants Are DMT Found in? Any foods containing tyramine, or where enzymatic processes have been used: e.g., yoghurt, sour cream, aged cheeses, wines, especially port or Chianti, beer, fermented sausages (pepperoni), soy sauce, etc. Certain other foods, including: shellfish, bananas, liver, avocados, broad beans, chocolate, coffee and others. Another common preparation method, which is easier on the stomach and causes less nausea in general, is to make a hot water infusion. Part of the active ingredients can easily get lost in the process of this method, so add 1 to 2 grams to the doses mentioned earlier. 150 ml of water and 50 ml of lemon juice per person is used. Simmer the finely ground seeds for 15 to 30 minutes on the lowest fire on your stove and strain the liquid, which is then ready for consumption.